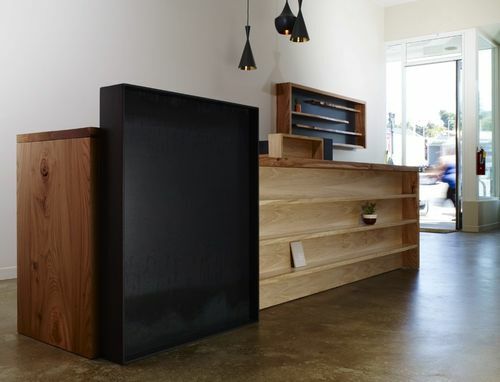 This unit was made for a yoga studio with an attached retail store. 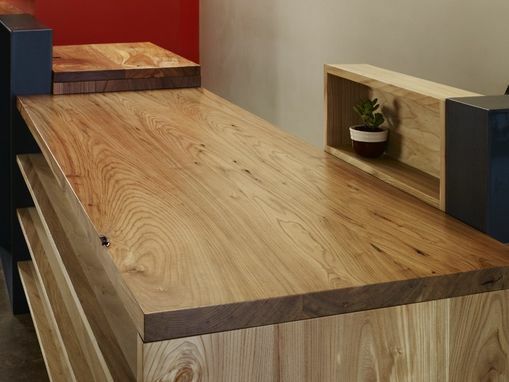 The desk acts as a reception area for the studio as well as the cash wrap for the store. 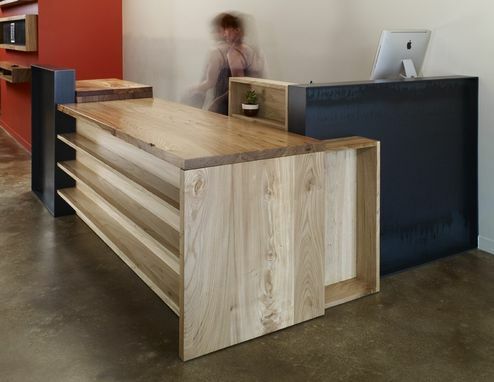 It is made of elm and hot-rolled steel.